Something that can be counted on is that social media is not going anywhere and it is a reliable place to reach customers. A constant gardener approach should be adopted with social media, remaining attentive to what people are sharing about your brand and being cognisant of whether your communications line up with your brand identity. The social media landscape is forever morphing as new apps are introduced, some are made obsolete, old apps are used in new ways, new features are included and certain formats grow in popularity. There is no end point to a grasp on the subject and it is important to be aware of the ebbing and flowing trends in the social media arena. With 500 million tweets, 4,5 billion Facebook likes and 95 million photos and videos uploaded on Instagram DAILY and not to mention the wealth of information possible in these vast engagements, social media for business is no longer optional and to give you a quick synopsis of the current lay of the land these are some ways in which social media can give your brand a competitive edge in 2017. • Messaging apps such as WhatsApp, Line, Google Hangouts and Facebook Messenger are now bigger than social networks. Over-the-top (OTT)* messaging and SMS messaging are millennials’ preferred form of communication and Forbes findings show that 62% of millennials are more loyal to brands that engage with them via these channels. Users login to chat with friends and also to engage with brands – watch content, browse and connect. On Facebook it is now possible to click on an advertisement and go through to a chat window and have instant interaction with a particular brand. Some of the reasons why message apps are so popular that there will be an estimated 2 billion users by 2018 are that: a cellular connection is not requisite; colours, themes and stickers make these apps highly personalized and fun; anonymity is possible through a user name; extra features like knowing your message has been read with the trusty but sometimes troublesome double blue tick all make these apps more suited to the connected and in-the-moment millennial. • Real time content in the form of live video has been made popular by Twitter’s Periscope and Facebook Live. Perhaps it is a longing for authenticity on a format that can lend itself to inaccurate one-dimensional portrayals that is the reason, according to Forbes, why social videos have greater engagement that any other content format. • Chatbots are being utilized to handle online customer engagement fulfilling the need for instant and around the clock availability. • With the growing volume of information in feeds it is necessary to cut through the clutter to ensure your posts noticed are noticed, these paid for boosts are affordable and also provide excellent feedback. • Staff training for social media is a must as it will help your staff understand the appropriate etiquette, know how to harness opportunities and certainly reduce the risk of a social media faux pas. • Social listening is incredibly handy and by being the fly on the wall, can really give you the inside track to what your customer’s think about your brand, what motivates their decisions, what specific challenges they face, where they shop and so on. These insights have the potential for improvements in product development and communications and certainly provide one with an invitation to turn any negative experience into a public relations turnaround. 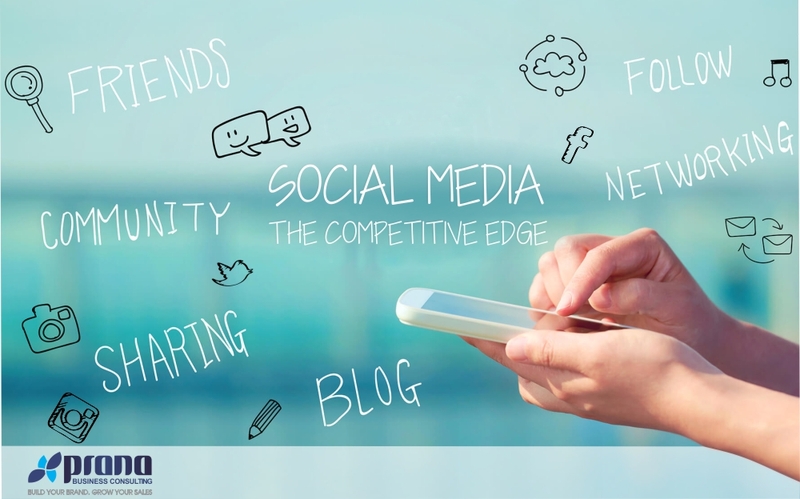 Social media, unlike other formats, is something that people invite into their lives, they welcome it and seek it out – there is an affiliation that exists and if used well by businesses, it holds the possibility of developing trust and loyalty with customers, building a following advocates and creating credibility for your organisation. The barriers to entry are low and your business can use social media in real time and with very low outlay to engage directly with customers and build brands. There is no down side – with the right amount of attentiveness, genuine response and strategic messaging you should start to see rewards for your efforts as you bring your brand to life on social media platforms. 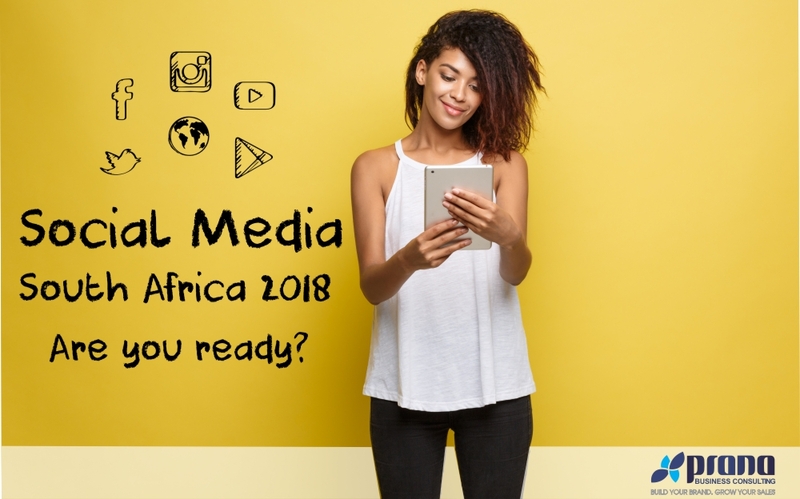 I recently attended Arthur Goldstuck’s presentation on the SA Social Media Landscape 2018. From research conducted by World Wide Worx and Ornico, 118 of South Africa’s largest businesses shared information on their social media, digital strategy and future plans. What stood out for me was the potential for brands on YouTube. Plus a bigger question, are some businesses still not prepared for social media integration? For someone in the industry it was heartening to see the positive growth statistics of social media in South Africa over the last year. What’s gone up? Facebook is now used by 97% of big business, a rise from 91% in 2016, Instagram from 62% to 71.6% and LinkedIn from 63% to 71.6%. Corporate blogs grew from 24% to 36% this year and we can look forward to 8% more businesses adding blogs to their social media bouquet – so deeper content creation is alive and well. With video being one of Prana’s 360 degree offerings, I was particularly interested in the statistics on YouTube. 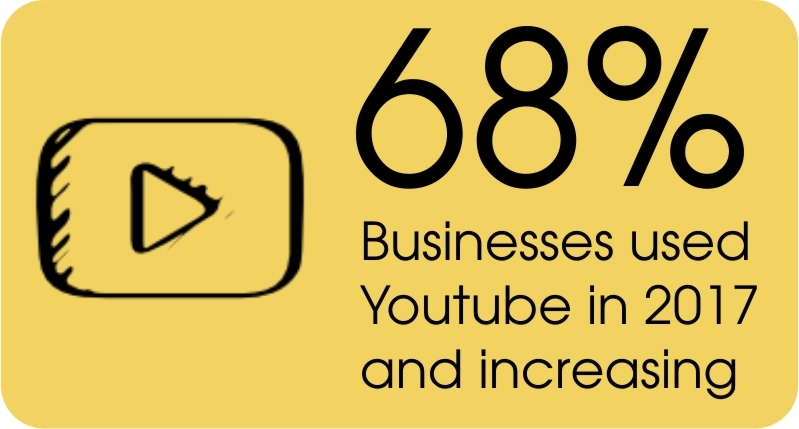 Used by 60% of businesses in 2015, up to 66% in 2016 and now at 68% with 16% (the highest growth) of brands planning to add YouTube in 2018. In real terms, the monthly active users on YouTube in South Africa haven’t grown as quickly as the 7.2 million leap in 2014, but the figures are impressive in relative terms; up by 8.28 million in 2015 and 8.74 million in 2016. Looking at the YouTube’s social metrics engagement figure: in 2015 there were approximately 14k views per video and in 2016 26k, so there’s potential there. With regards advertising spend, YouTube comes in fifth after Facebook, Twitter, Instagram and LinkedIn with only 27% of businesses using ads on the platform, so again, more potential for brands wanting to push content on YouTube for better sales and growth. With regards overall social media and strategy: out of South Africa’s 118 biggest brands, two of them don’t use social at all, and out of those that did, 12% said they didn’t have a social media strategy. The question is, how do you implement something effectively (particularly at this level of business) without a strategy? Following on from this; only 47% of businesses use their social media primarily for customer lead generation, which I consider low in terms of ROI. The good news is that although 50% businesses surveyed admit to having less than optimal digital media skills, 60% are investing in training their own people, 16% using specialist social media agencies and 10% a social media consultant. And to the 27% of big business who have no plans to work on their social media skills, I would argue that now would be the perfect time to invest in some necessary expertise.